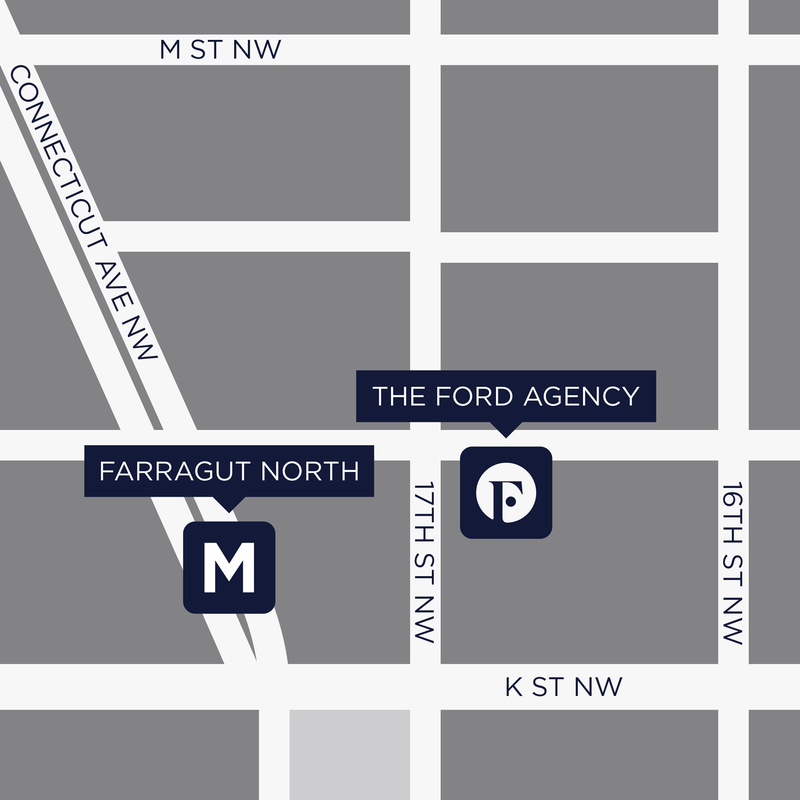 The Ford Agency has been providing expert recruiting services in Washington, DC for over three decades. Our refined process has led our team to consistent success in recruiting for the area’s discerning business market. The Ford Agency provides an unparalleled level of personalized recruiting services. Our expertise and commitment to quality make us a resource to candidates throughout their career development and growth. 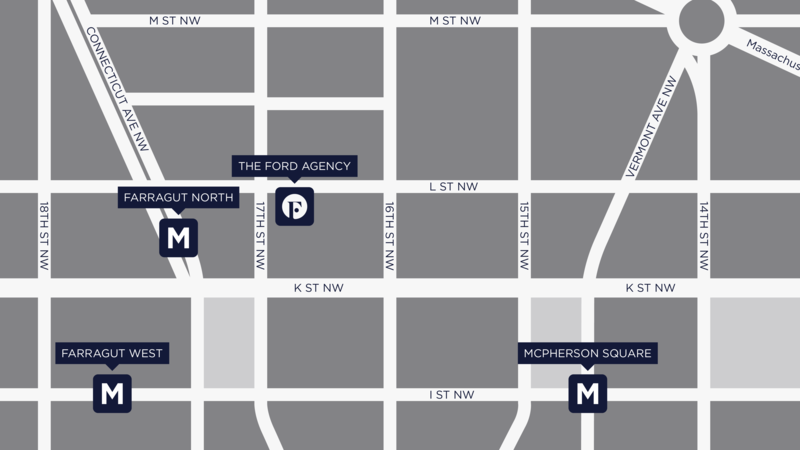 © 2019 The Ford Agency, Inc.
Conveniently located by Farragut North and Farragut West metro stations, our office is at the corner of 17th Street NW and L Street NW.